"The captain had lost control of his spittle, which landed on my face as he spoke. He was also dribbling a bit. Plainclothes-man was trying to shout over the captain while the younger policeman just sat there smiling drunkenly, sporadically pointing at his lapel and saying 'Politsia'. I was mostly silent now as opening my mouth would have resulted in a stream of saliva down my throat, and I didn't feel our friendship had reached that level yet." Travelling to any country involves some contact with the representatives of the government, be they police, army or immigration officers. Usually these officials are friendly and helpful but occasionally don't act as expected. 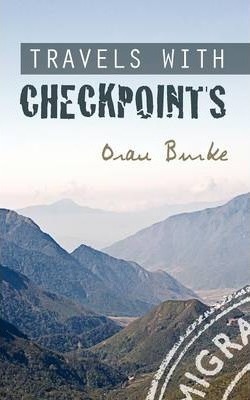 Oran Burke has encountered a few too many of the latter type, from a cash-loving Uzbek doctor to a casually dressed Bolivian border guard. His journeys have taken him through remote desert checkpoints and busy land crossings, coming into contact with an assorted bunch of people who've both helped and hindered his passage. These meetings regularly gave an insight into the bureaucratic workings of a country but, above all, taught him to sit back when a drunken Kyrgyz policeman speaks.